OSI was formed in 1998 to solve a pressing problem. The founders embraced the ideals of software freedom, but saw that businesses - being non-persons - lacked any way to embrace a philosophical principle. To advance software freedom, it needed to be pragmatically "projected" onto the surface of the computer industry of 1998, creating rules that could be followed without demanding ideological "purity". The result was a focus on a certain kind of advocacy, plus an enormously valuable effort to analyse, categorise and selectively endorse copyright licenses. OSI was the pragmatic projection of software freedom onto the computer industry of 1998. However OSI is formed with a board which is the de facto entire volunteer base. There is also a "chicken and the egg" problem that there is no clear door into OSI so there is no one to form an electorate and there is no "new blood". OSI has been trying to fix this but it requires work. The first attempt the Board made involved inviting 50 people to discuss the problem in an online forum last year. This didn't devise a new governing membership body, but did work through all of the possible ways OSI could be governed and more effective. We are also keen to see more people involved in other aspects of OSI. If you have experience with writing charters, administering servers, web design, trademark policy or any other aspect of the renewal of OSI, then please write to me, webmink at opensource dot org, or contact the OSI Board. I love this direction and would be happy to help in any way I can. There is a lot I think the OSI can do- I'd love to see more efforts to make open source "friendly", similar to how the creative commons has handled their licenses and advocacy. I've also love to see more work between the "development" and "creative" communities- I can't tell you how many applications would be fantastic if their UI was improved, or how often I hear designers complain about implementing designs for their favorite open source software. I'm excited to see the OSI looking at itself critically but eagerly, as I think there is still a ton of good that can come from this organization. I agree with the greater emphasis on freedom. The benefits of hindsight show to me how the OSI, whilst it had laudable goals, actually allowed the rights of users to be subverted. This is a key business and societal advantage of using free software. The difficulty will be in reviewing and removing the licences that have favoured vendor control over user rights. I think this is urgently required and it may be that the OSI retires or recategorises those sort of licences. If this work is going to take place I would be happy to provide a perspective from New Zealand. I'm Very Happy to Hear This! I think it's terrific that the OSI is once again looking to be the leading voice for the open source movement that it should be. Some people want to move community developed software forward, while others want to hold it back. I've always viewed the OSI as being on the side of pragmatism and progress, and I'm interested in helping in any way I can. I'll be in touch, Simon. Welcome back. I'm eager to see the changes.. and the *new* OSI. So what help do you need? I mean, besides the high level stuff - you need cash, code, people to contribute on committees? I'm glad to hear that change is welcome in the Open Source community, and especially in the OSI. It has seemed to me that while there's plenty of impressive new projects coming out, all that you'll find out about without digging through SourceForge or similar sites is the same stuff that's been popular since the turn of the century. I just hope that this isn't just the illusion of change, but real change. 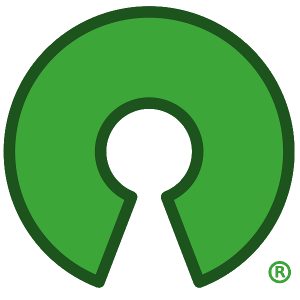 As for my personal recommendations, I would begin with trying to change the public image of Open Source. Right now the image is essentially, "it's for geeks," and to some even "it's socialist/communist," which is quite irritating to me as a member of the U.S. armed forces. Another thing we could use is real publicity. I'm not talking about Google making Youtube videos of their own projects, but real publicity for the Open Source movement in general. I think this will draw in tons of new blood, including those that aren't computer scientists. If only computer scientists are interested in Open Source, then the scale will always be weighted in favor of the proprietary vendors who advertise on television. Why would we want people who aren't computer scientists? Once you've got a rough but complete product, the people who will provide the real polishing are not the developers, not other scientists, and not large businesses; but the common consumer. I cannot stress this enough. The last thing that should be done is to make a deal with as many PC vendors, like Dell and Gateway, to get them to sell fully open-source PCs at a reduced price to anyone wanting it, just as simply as they sell Windows PCs. This will help to open up more to the common consumers, too. I feel forming local communities could be a good way to promote open source. I recently formed www.opensourceohio.net The concept is to give persons in the field of software development and project management an opportunity to get involved in actual projects being sponsored by corporations. They would work with a team to deliver an open source application that would become part of the software library and freely available for private and public use. Being an open source community this would of course be on a volunteer basis, however it would be a great opportunity to have real world experience and at the same time get exposure to executives at local companies. I currently have several projects ready to go and am meeting with the career counselors at colleges in Dayton, and Cincinnati. There will be an article published in a local business paper on this community this week.